Under the Life Berlengas is expected to produce diverse promotional material with the aim of disseminating the rich natural and geological heritage of the Berlengas archipelago. The project already has three years but the project promotion will continue in the coming months! Do you already know the promotional material produced under the project Life Berlengas? In order to disseminate the natural resources and the best of Berlenga, SPEA and its partners produced a bookmark, a leaflet, a video spot, among others that allows you to know more about the Berlengas. Discover Berlengas with us! Have you seen the leaflets about the marine biodiversity of Berlengas Biosphere Reserve? In order to promote the natural values ​​of the Berlengas Biosphere Reserve, the School of Tourism and Maritime Technology, in collaboration with the Nature Conservation Institute and Forestry (ICNF) and Peniche City Hall (CMP), published 5 leaflets on the natural heritage of the Berlengas archipelago. Presentation of the Berlengas Biosphere Reserve (UNESCO). Contains basic information about the area and references to geology, ecological characteristics, history and endemism. Description of the most abundant fish species present in Berlengas archipelago waters and more easily detected by the underwater divers. 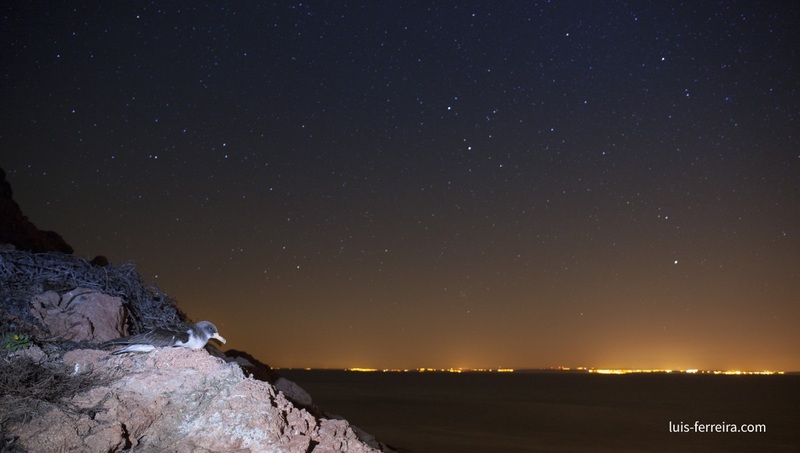 Description of the migratory and resident seabird species present in the archipelago of Berlengas and information about the species more likely to be observed by visitors. Description of the most abundant marine invertebrates present in Berlengas archipelago waters and more easily detected by the underwater divers.